2016 was a year of champions in Cleveland. Cavs, Monsters, CCNEO, Indians... almost. Who will repeat in 2017? Do your part to help CCNEO re-capture the Scavenger Hunt title at the CMA Scavenger Hunt hosted by the Harvard Club. 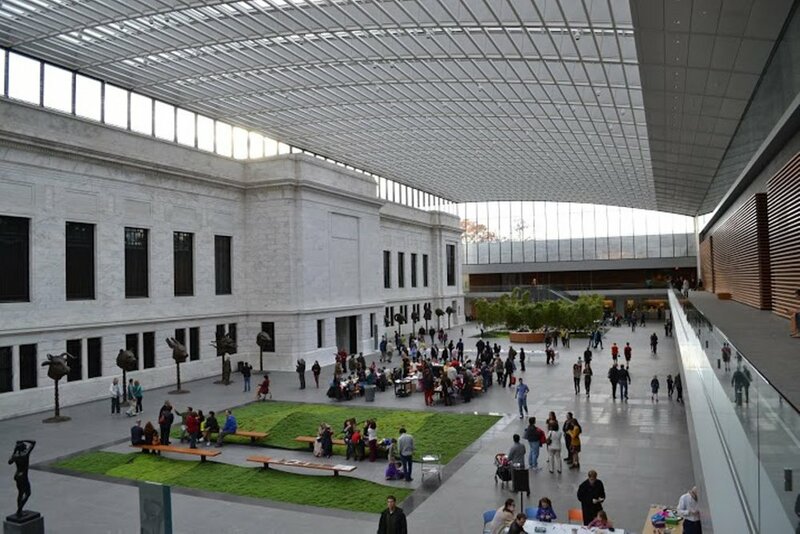 The Harvard Club of Northeast Ohio will present its annual multi-alumni-club art scavenger hunt at the Cleveland Museum of Art on Friday, May 12, 2017 starting at 6:30 p.m., and your Cornell Club is invited! Last year, 200 people from 34 alumni clubs had a great time! Did you know? All proceeds will go to provide college scholarships to outstanding graduating seniors in Cleveland public high schools. Winning students can use them at any college, university or vocational school. So how does it work? Using photos of tiny sections of art works in the CMA galleries as hints, teams will compete to identify them. A team is any group of one to four people who decide to work together. This year’s hunts will be more challenging than last year’s, which some people found too easy. Cost: $15 for adults and kids 12 and older. Kids 11 and under are free--send me an email to RSVP for your free kids:johnmiller@nasw.org. Here’s how the evening will proceed: We’ll meet at 6:30 p.m. sharp in the amazing Atrium. At 6:45 we’ll send you off to two seven-question hunts. The soonest turned-in perfect score team entry for each hunt wins a four-person prize. At about 7:30, with the hunts completed, we’ll all meet back in the Atrium. While our board members figure out who won, everybody else can buy drinks and appetizers from the Museum’s bar and restaurant. We can all hang out there until the Museum closes at 9 p.m.
Click on http://hcnortheastohio.clubs.harvard.edu/article.html?aid=226. Then click on the yellow “Click Here for Tickets.” Do not log in. After you have completed payment, you will be prompted for Guest Names and Organization. Put “Cornell” in the Organization field to help us keep the total reservations for each college club. (Do not instead enter the name of the place where you work.) If you have any questions, email me or phone me at 216 397-9709.